As Pride weekend continues in Las Vegas, a special Esports Drag Race event took place inside the Luxor on Saturday night. Racing into the Luxor’s Esports Arena was the Speedway-Drag Race edition, bringing together local gay gamers. 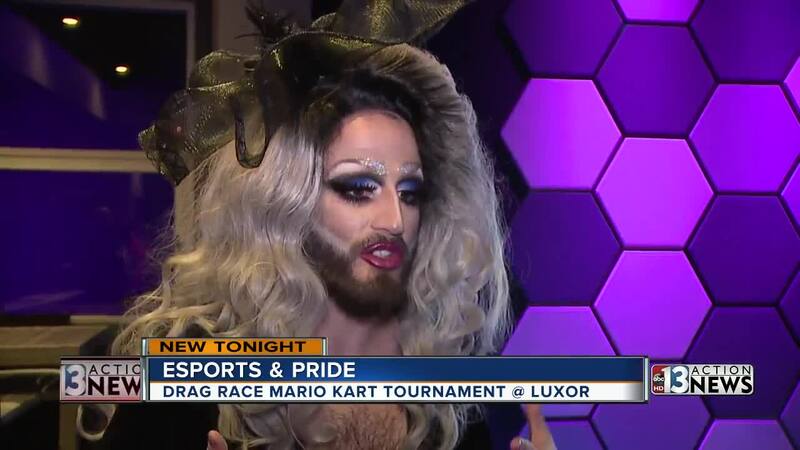 In celebration of Las Vegas Pride Weekend, a special Mario Kart Tournament was held as players battled it out on center stage. “This gives us a safe space to be ourselves, to be true to our queer selves,” said Tyler Winsatt, who created the Las Vegas Gaymer club. Winsatt created the group a few years ago, wanting to make a home for those just like him. “It’s a place for us to just be ourselves and not be afraid to be nerdy but not be too gay or to be too gay but be too nerdy, and its just a big group for all of us to come to,” says Winsatt. Attendees say with the help of e-sports, there's lots of love that will last well after Pride weekend raps up. “It’s mainly a sense of community and bringing a part of the video game community together,” said Chase Kolozsi. Esports Arena Las Vegas, located at Luxor hotel-casino, is the first dedicated esports entertainment arena on the Strip.